treatment increases the strength of the cornea upto 300%. This treatment is now available at Apollo Hospitals, Hyderabad, India. course on Anterior and Posterior lamellar Corneal Surgery. 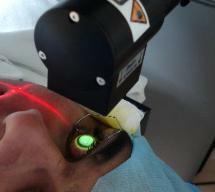 lamellar corneal surgery on animal eyes. (invented the technique of LASIK). 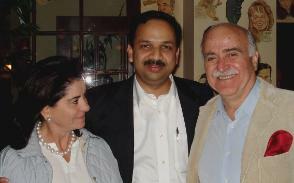 Seen in the picture Dr Pallikaris and his lovely wife. 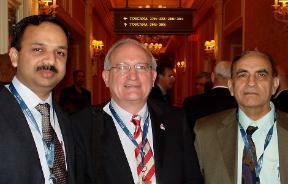 meeting at Las Vegas, 11 -14 Nov 2006. 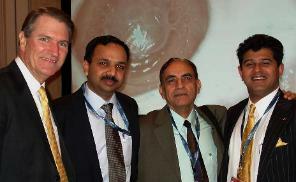 Keratoplasty" with his two colleagues, Dr Reinhart & Dr Anwar. 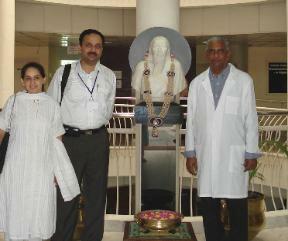 at Aravind Hospitals, Madurai, 14 -15 October 2006. Keratectasia following LASIK and its management. Keratoplasty (DSEK) at the meeting. 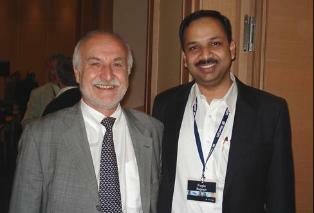 Dr Fogla spoke on " Current trends on Corneal Surgery"
Dr Fogla spoke on " Recent advances in Corneal Lamellar Surgery"
Dr Fogla spoke on " clinical diagnosis of Dry Eye" and "Recent advances in Corneal Lamellar Surgery"
at Hyderabad, India, February 2007. 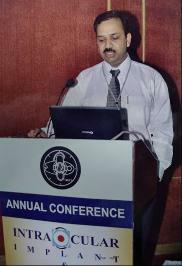 Dr Fogla was also invited to speak on "Clinical features of Dry Eye Syndrome"
Eye Hospital, Trichy. February 2007.
treatment. He also delivered lectures on the various procedures performed. procedure for Bausch & Lomb. College, Pune on the 13 -14th of October 2007. Dr Fogla spoke on Recent advances in Corneal Surgery. 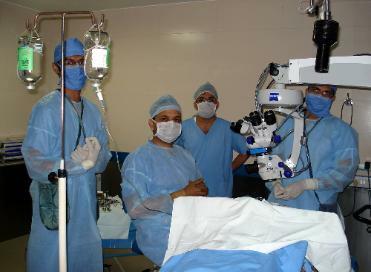 Andhra Pradesh Ophthalmic Society, held at Tirupathi October 2007.
keratoplasty surgery. He also spoke on Recent advances in Corneal Surgery.